Plus, a steady supply of stories and articles (both online and in print), and tying videos. Whew. I really need to go fishing. 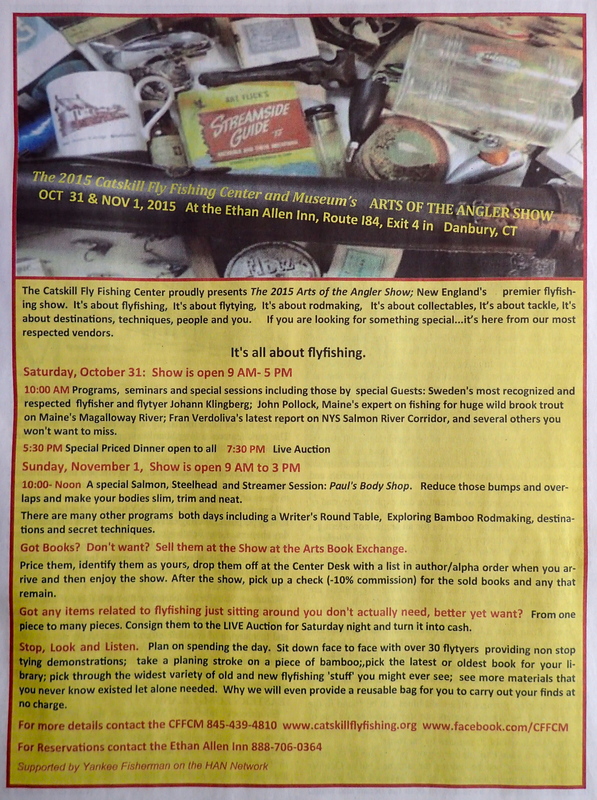 This entry was posted in 2019 Schedule and Events and tagged 2015 Arts of the Angler, Catskill Fly Fishing Center, fly fishing, fly tying, soft-hackled fly, Steve Culton.